Private dining rooms are available to host group dinners, corporate meetings, rehearsal dinners, holiday dinner events, anniversary celebrations or even cocktail receptions. Built-in audiovisual included with private dining rooms. Group dinner menus & bar packages available. Maxwells is no ordinary experience, offering a relaxed environment, adventurous cuisine and professional service ‘with a personality.’ Superior food, drink and celebration are permanent features. With the region’s largest collection of wines, a diverse selection of beers of the world, and premium beverages, Maxwells is an exciting blend of your imagination and our unique casual elegance. We celebrated sister's 75th . Wonderful service & meal. She really appreciated the complimentary dessert. Very special place to celebrate special events in our lives. Food and service were excellent. Was a Tuesday evening rather early so restaurant was not busy. While food is excellent the prices some people could have a bit of a shock as they are not listed on the on-line menu. 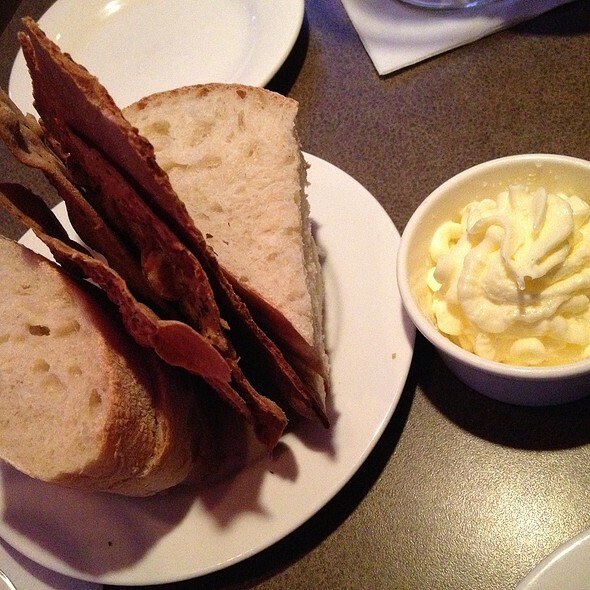 We are regulars at Maxwell's and usually always have great food and service. The atmosphere in the bar is upscale, but relaxed, active, but not noisy. 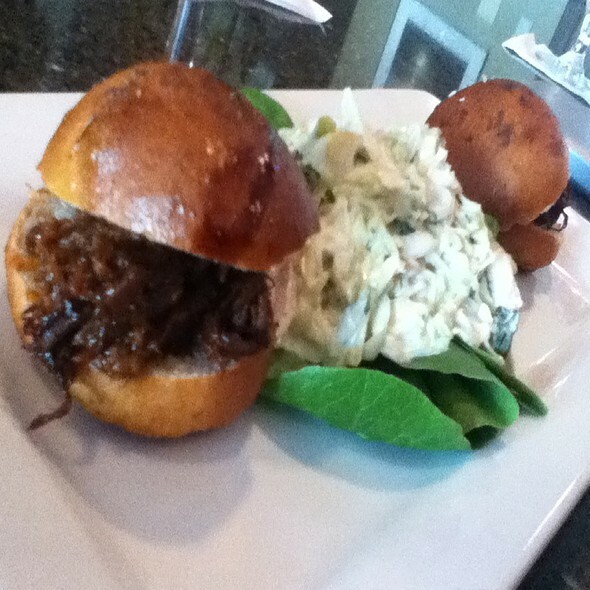 On our most recent visit we had the Bison meatballs as an appetizer. They were a hit. My spinach salad was excellent. This was to be followed by the Max Burger. My wife had the hearts of romaine salad and a flatbread as an entree. Much to our dismay, our entrees came out a minute after the salads. This is totally unacceptable for a fine dining restaurant! To make it worse, we were a party of four at a smaller high-top table, and trying to cram all those plates on the table was a cluster. Both the Max Burger and the flatbread were disappointing, partly because they were half-cold by the time we ate our salads. Over the years we have come to expect much better from this restaurant. The service and apps were wonderful. However, the waygu ribeye was over priced and extremely disappointing. It was served drenched in sauce, the meat was tough, and the steak itself was under seasoned. The most amazing experience in fine dining! Created an experience for my wife's 60th Birthday that was nothing short of awesomeness! Absolutely my favorite restaurant in Fargo! Hands down the best all around! The ambience forces you dress nice and feel gorgeous instantaneously! Food and drinks are legit- core original! Drinks are the strongest in town! They don’t mess around. They mix it in front of you if you’re sitting at the bar! Our dinner experience was as good as always. The scallops are always the highlight! Chicken Piccata is my go-to and never fails. Maxwells is kind of our place for great food and a lovely evening. Maxwells never disappoints. Our food was outstanding and the service matched it! 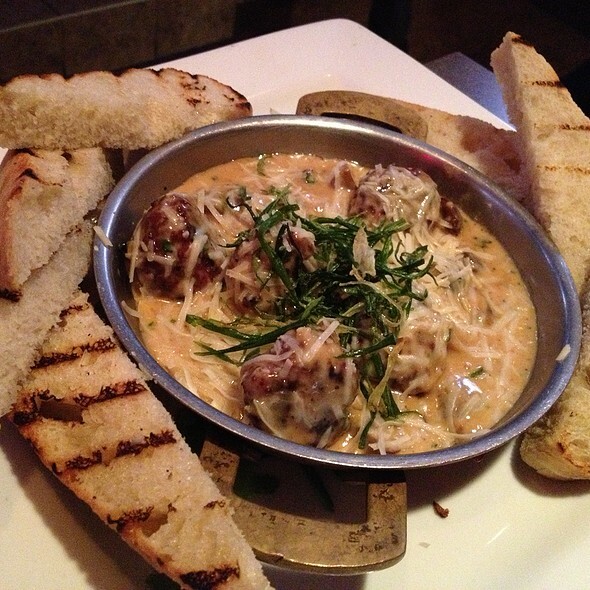 I encourage you to order the meatballs (on the bar menu)... great appetizer! Absolutely fantastic. My boyfriend and I both got the surf and turf and it was amazing. Softest steak we both ever had and the lobster was fantastic as well. 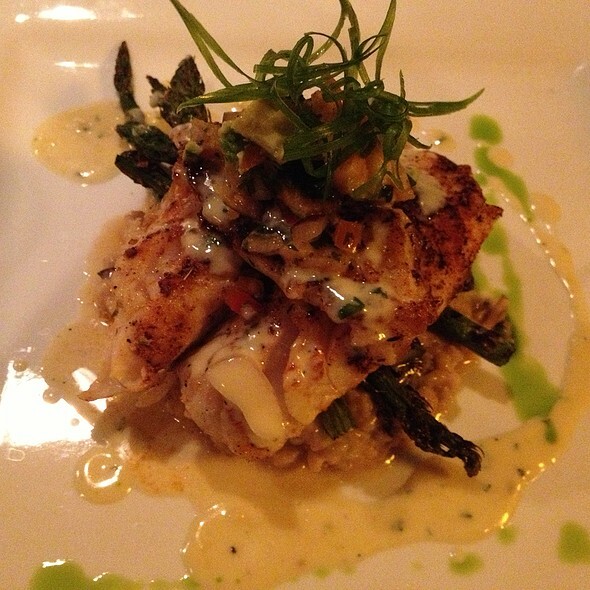 Plated beautifully. Well worth the price tab for everything. As always Maxwell’s delivered the best in fine dining available in the FM area....from the appetizer to the dessert Maxwell’s offers the highest level of culinary experience! 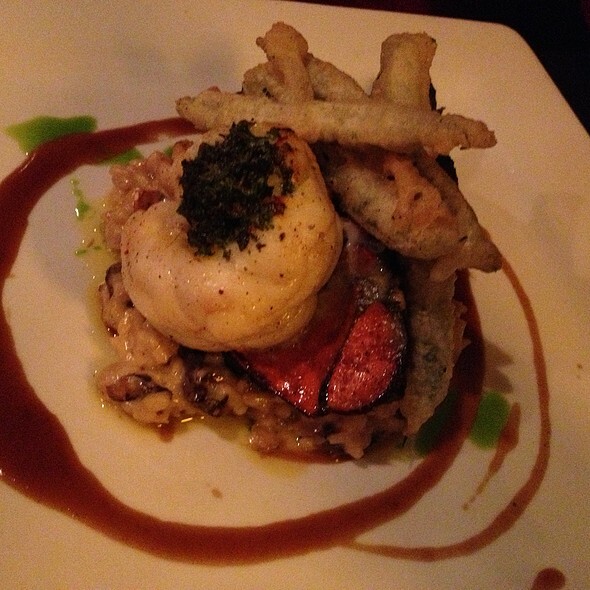 Had a truly fabulous dining experience at Maxwell's this week. Started with the bison meatball appetizer, rich meat, big mushrooms, sumptuous cream-based sauce and lots of toasted bread to sop it up. Enjoyed the elk loin with cherries and beet chips, cooked medium rare the elk was not gamy and a lovely cut of meat. 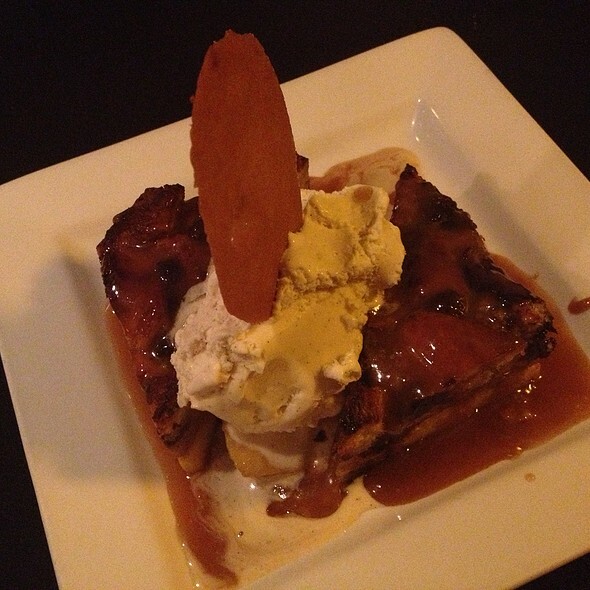 For dessert, can't recommend highly enough the banana chocolate chip bread pudding, warm with a caramel sauce and a most delicious scoop of ice cream on top. Sat at the bar, so enjoyed great service and entertainment from bartender Heather. Thanks for the recommendation, Audra and Matt! Maxwells never disappoints. 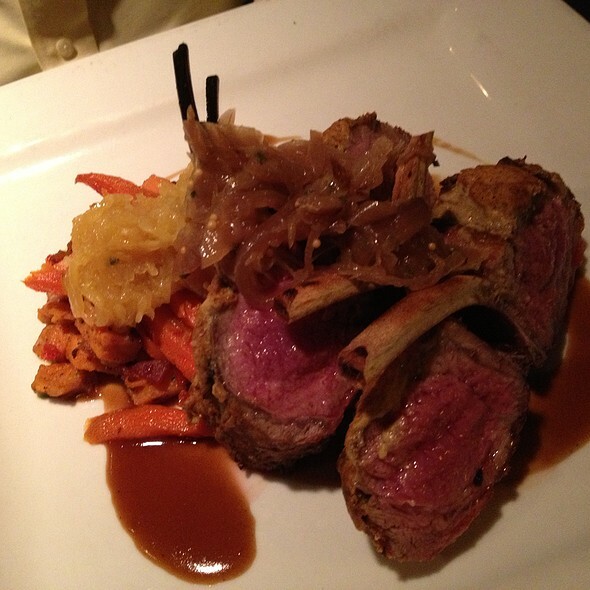 From the food to the service Maxwells is a great dining experience. We had a poke bowl that was outstanding tonight. This is a favorite place for us. Food is excellent, drinks are wonderful and we love the attention to details! Any time we take a trip to Fargo we always stop in to Maxwells for supper! Sometimes twice in the same weekend! AMAZING food! Thank you! Our experience was exactly what I had hoped for from a fine dining establishment such as this. It was absolutely wonderful and the service was amazing. I feel terrible that I can't remember the gals name who waited on us. I want to say Brenda but I don't know if that's correct or not, either way though, this is one experience myself, sister and mother will never forget. It was my mother's birthday and probably the most memorable experience we've ever had. I cannot say enough good things about the staff, food, and overall experience. If I had to choose one word to describe it would be phenomenal! Kudos to the team at Maxwells for portraying such a grand experience. Fantastic food and service. Highly recommend. We were able to visit without big interruption, while still being promptly serviced. Great presentation on the food as well. Over the years, we have found Maxwell's to be our "go to" place when we want a great night out, either dining as a couple or with friends. From the time of arrival until departure, we are treated well, the drinks and wine are excellent, the food is fantastic and the bar and dining areas are both comfortable and well appointed. Thank you! Great bar area with wonderful servers. Happy hour is a great way to end the day here. We were sat over 30 minutes after the time we had reserved. They comp’d our appetizer and a beer I had during the wait which we felt was appropriate and made us feel appreciated. 5 stars for how they handled the situation but we were disappointed that they did not communicate the situation sooner. We understand they cannot control when current guests leave but when our reservation time approached we should have been notified of the situation, not 30 minutes after. In fact, a couple who had a reservation after us was approached and offered a different option before we were. After getting to our table the entire experience was 5 star. Our server was very polite, professional, and attentive. The food was cooked to perfection and prepared in a timely manner. We were very happy and satisfied with the entire experience at the table. Even though the night was not perfect we would highly recommend Maxwells. Pre Valentine dinner with my husband. Third time at Maxwells. All excellent. Scallops are fantastic. One plate was a bit on the cool temperature side and the other was fine. Taste was good though. Otherwise would have 5 stars. Great service and very outstanding food. Owner was very welcoming and friendly. Our waiter was outstanding, We will be back! We celebrated our 27th Wedding Anniversary! It is perfect for special occasions. I wouldn't normally spend that kind of money on a meal out, but for special occasions and parties, I don't mind. The food was superb, the atmosphere was quiet (which is what my husband likes. He is deaf in one ear) and the staff was very nice and attentive. Our coats were even warm when we got back to them at the front. Nice touch! We had a wonderful waitresses. Fun and together we made great decision on food and wine. Stayed 3 1/2 hours. We must have enjoyed. First dining experience here and it did not disappoint. 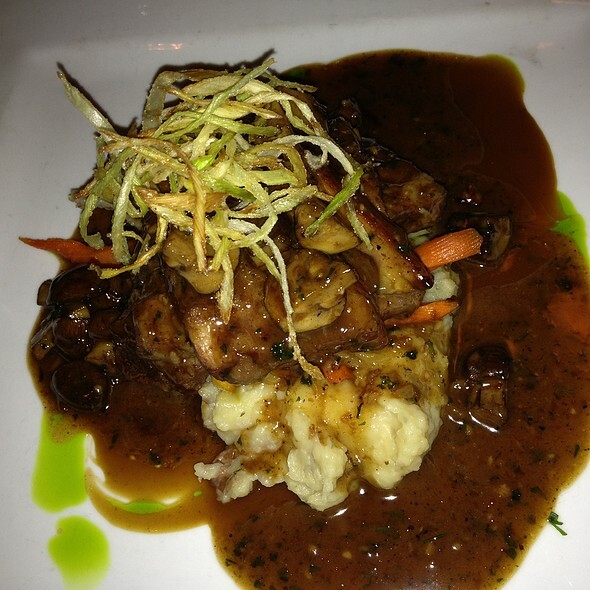 The food was fantastic, the wait staff was great, the ambiance was nice and it was quiet. We had the Sea scallops in red curry sauce which was amazing, salad and a seafood soup. We also shared the filet tips and that was incredible. I will definitely be back! I wish I lived closer! Duck was undercooked and very chewy. Asparagus was very large, they attempted to grill it but they only charred it slightly leaving it very soggy. Disappointed and expected more for the price. We chose Maxwell's knowing very little about the restaurant, but by having a very generous gift card in possession. First impression from the outside was "meh." Once inside, we forgot we were in a strip mall and were transported to something much more "upscale." Past the threshold a smiling hostess greeted us immediately. Ushered by the open service window on the way to our booth; the professional looking staff were observed in what appeared to be a clean and sanitary working kitchen gearing up for the night ahead. During seating the hostess made conversation and then politely inquired if we were celebrating anything. Once aware of my wife's birthday, congratulations were given before she departed. Our waitress arrived shortly thereafter already informed of our special dinner. She too was friendly and very helpful answering questions about menu selections, including our gluten free restrictions. She also offered suggestions from the drink menu/wine list when asked, which turned out to be perfect alongside our food choices, which were exquisite. For starters the chipotle sweet potato bisque was subtle and satisfying; the chef's special seafood soup was full of hearty chunks of swordfish and other treasures from the deep. Our Entrees had an international and exotic flare from New Zealand by way of a roasted garlic grilled lamb rack and pepper seared wapiti elk tenderloin served with whipped and roasted potatoes respectively. The meats were served medium rare as requested and expertly prepared, the sauces served with each was superb. The plating was creative and artful enough to make us think we were judging a culinary competition. Wonderful desserts included the carrot cake cheese cake w/ salted caramel and house made artisan maple ice cream ordered to replace the chefs complimentary birthday cake containing gluten. We were comfortable and well cared for during the two hours enjoyed in the establishment. Worth every dollar, we'll be back! First we made reservations for 8 o’clock. We arrive at 8. There are two other parties waiting to be seated in front of us with no host or hostess around. Finally it’s our turn to get our table and we start talking to the hostess and in the middle of it this inconsiderate guy interrupts because he knows the hostess and he asks her to help him find his coat. Not her fault but would have been great if she could have finished with us before helping him. We didn’t get seated until 8:15. Then in was another 7-8 minutes before we got water and even a server. He was nice though, but very quick and jumpy. The food wasn’t worth the price. We spent $111 and didn’t feel happy afterwards. We had dinner elsewhere the next evening and spent about the same and were ecstatic when we left. So I’m not too sure we will return here when we know we will get better food, better service, and better value elsewhere. overall experience was very good,however i found it curious your bar did not have EJ brandy.just Christian bros which i consider to be the bottom of the list for quality.your too upscale for that.. I took my wife here for her birthday based on someone else’s advice and we were not disappointed! The woman who seated us and the gentleman who served us could not have been better! The kitchen even surprised us with a slice of Italian cream birthday cake, delicious! Food is outstanding and the customer service matches! Romone always provides a superlative customer experience. unbelievable food with incredible service every time! Outstanding, the server Allison was fantastic. My wife and I definitely recommend Maxwells. Our annual anniversary dinner date! Best in Fargo! Great food and service! We’ve been there twice now and all of the food is great. Great service too and we used the awesome Black Friday deal. 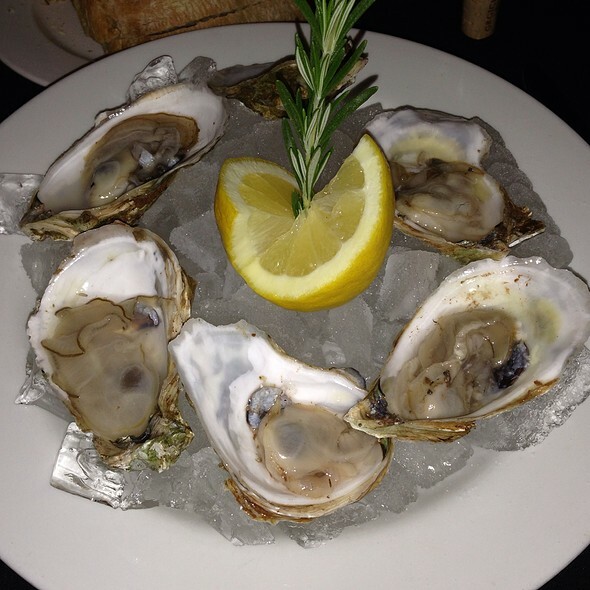 Maxwell's is our "go to" place for family the food and service never disappoint, both are outstanding!